It’s Here! 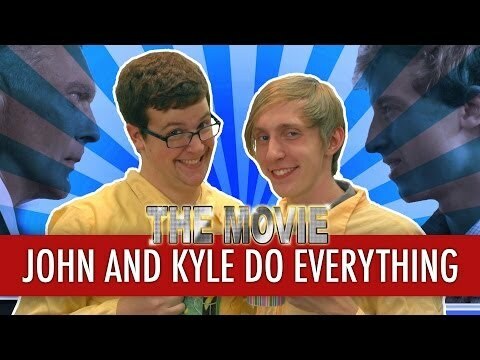 The John and Kyle Do Everything Movie! It’s been over a year since we started working on this film and it is finally 100% done and RELEASED! SYNOPSIS: Two best friends fight to complete their to-do list of everything despite the meddling of a shady politician. I have never poured more of my heart and soul into a project as I have John and Kyle. With 20 different videos spanning over five episodes, blooper reels, promos, and a full-blown music video, John and Kyle Do Everything has been the most comprehensive and quality project that I have ever undertaken. I highly recommend that you watch our series’ five episodes. While not necessary to enjoy and understand the movie, the backstory is very entertaining and serves to introduce our cast of characters and lead directly up to the film. This movie is the definition of a passion project for me. Over the past year, I have served as a writer, producer, director, director of photography, actor, editor, audio editor, and visual effects artist for this film. I couldn’t be any happier with how it came out. So, without further ado, enjoy John and Kyle Do Everything: The Movie. Watch the Trailer for "UnMade," the IMDB Original Series I Wrote On! Watch the Trailer for “UnMade,” the IMDB Original Series I Wrote On! Magic Music Movie at the Napa Film Festival!